My Vegan at Costa Coffee blog post has gone down a storm with you guys and I think it's about time I update you about more coffee chains where yummy vegan food & drinks are available! 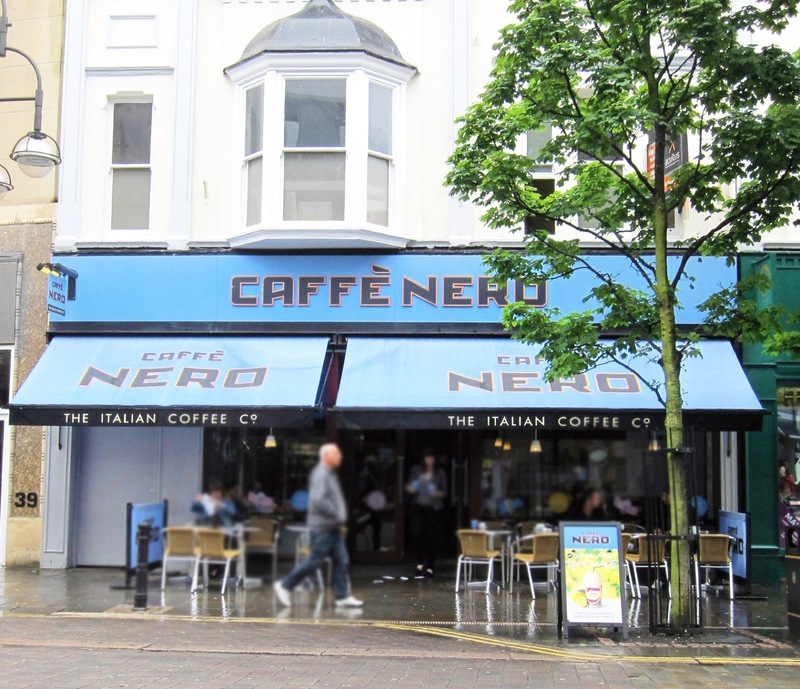 Caffe Nero European style coffee house based in the UK. It always has a lovely atmosphere and the staff are always very helpful! The vegan range isn't huge at Caffe Nero but if you want a quick snack and a tasty drink, it's definitely worth a visit! Make sure you ask to leave out any added ingredients like Whipped cream, Biscuits, Chocolate drizzle's as they contain milk. Most of the coffee sugar syrups (by the brand Monin) used by Caffe Nero are vegan, yay! -Ciabatta Bread Roll, served with Soup.